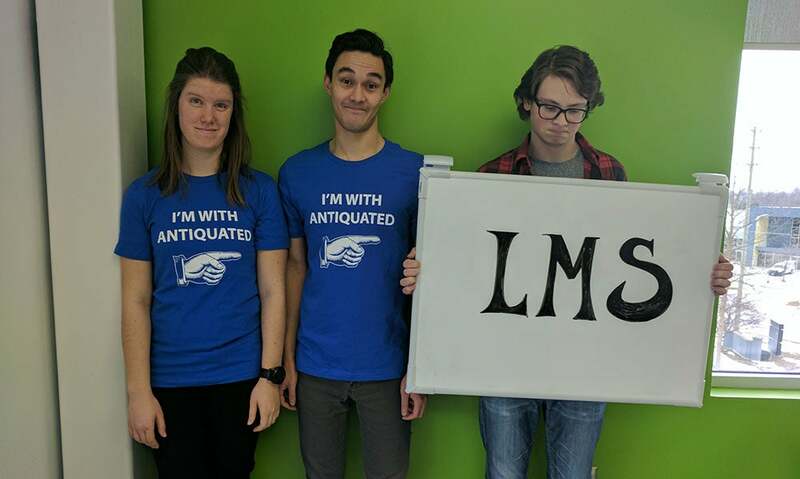 The “Not a Love Letter” to the LMS – Bring it On! About a month ago, I was soaking up the rays on a beautiful beach in Mexico when I started receiving a series of texts and phone calls on my personal mobile number from an automotive sales rep that I’ll name “Jim”. I had no idea how he got my number and, since I was trying to take a break from work, I let him know that when I got back from my vacation, I’d follow-up with him. But Jim persisted; he didn’t want to wait. He works for an organization that had started a pilot program with Axonify, but got cold feet about moving forward, despite incredibly positive feedback and results. The L&D team simply could not get past the significant investment they’d made years earlier in their LMS. Part of that was a deeply embedded “check-the-box” course completion mentality, even though the LMS had become a largely administrative tool. They’d become out of touch with the needs of their employees who require and desire so much more than their LMS could deliver. Jim desperately wanted to continue his daily learning with Axonify and was discouraged that the company had put a stop to it. In fact, he was adamant about getting it back and reached out to me to figure out how to make that happen. Jim knew Axonify was increasing his knowledge, which was translating into better job performance, and he wanted to continue to learn and get better. Can you imagine if every employee was this engaged? (Well, that’s exactly what happens when companies implement Axonify). This emoji was funny and sad at the same time. What’s really discouraging are the millions of other employees out there, just like Jim, who want a fun and engaging way to learn that allows them to boost their skills, improve their performance, and grow as individuals. Yet, these employees have no way to do this because their leaders are afraid to break the “this is how it’s always been done” mode of thinking. What they don’t realize though is that by doing the same old thing, they’re inhibiting their ability to compete with organizations who are offering an engaging way for employees to grow their knowledge and skills. I’m 100% confident that no LMS vendor has ever had its customers’ employees hunt down their VP of marketing, obtain his/her personal cell phone, and beg not to take it away. And I challenge any LMS vendor to showcase a love letter they’ve received from an employee who adores using it so much that they can’t wait to take training on it each and every day. At the risk of being too bold, let me sum it up simply: The LMS just falls short. Even LMSs that are “reinventing themselves” with their social features, pseudo gamification, shorter courses and attempts at mobile, don’t have it right. They’ve missed the boat. That’s because the underlying fundamentals of the LMS are all wrong. It shouldn’t be about serving up courses, making sure eLearning costs are attributed to the right departments and proving compliance. It should be about developing highly knowledgeable employees who have what they need to know—both in their heads and at their fingertips—to do their jobs. The reality of 2017 is that there is more for employees to know than ever before, and the implications of not knowing and not doing the right thing are more expensive than ever—whether it’s a retail associate not applying proven sales techniques or a logistics employee who doesn’t adhere to safe work practices. On top of this, the LMS has let down L&D leaders in one critical area—measurement. The LMS can’t measure employee-by-employee knowledge growth over time. It can’t measure behavior change. And it can’t correlate learning and employee knowledge with a business result, like an increase in sales or a reduction in safety incidents. In this day in age, when technology solutions help virtually every aspect of the business by measuring the impact of the solution, the LMS fails to help L&D measure impact. Well, enough from me. Now, it’s your turn. In the spirit of Jim, we want to hear about your LMS frustrations. So, follow us on Twitter and then tweet your own “not a love letter to the LMS” with the #rethinktheLMS hashtag. We’ll send you a free “I’m with antiquated t-shirt” that you can wear to express your readiness to move away from outdated and ineffective tools to something that actually impacts your performance.